[Editor’s note: This column was originally published in January, 2016. It’s advice is still relevant today.] It’s not clear whether recent stock market volatility and losses will culminate in a bear market. But this much is certain: At some point in the future, investors will have to grapple with a major meltdown. Here are four must-know bear facts that can help you navigate the tough times whenever they arrive and put you in a better position to reap the rewards of the eventual recovery. 1. Bear markets are a normal part of the investment cycle. For all the Sturm und Drang that surrounds bear markets (and for that matter, even the slightest whiff of them), sharp downturns in stock prices aren’t all that unusual. In fact, they’re part of the regular ebb and flow of the investment markets. Since 1929, investors have grappled with 20 bears—defined as a 20%-or-better drop in stock prices—according to Yardeni Research’s Market Briefing: S&P 500 Bull & Bear Markets and Corrections. That works out to an average of about one every four to five years, although they’re not actually so evenly spaced. Granted, the fact that steep nosedives in the market have been with us for a very long time and will continue to be part of the investing landscape in the future may not offer much comfort when you’re watching the value of your retirement accounts head south. But it’s important to maintain perspective. History shows that just as bull markets give way to bear markets, so do bears morph into bulls, eventually pushing stock prices to higher levels. Indeed, despite the ravages of 20 bear markets (and 26 corrections of between 10% and 20%), stocks still managed gained an annualized 9.3% from the beginning of 1929 to mid-January 2016. 2. The bears’ bite can vary dramatically. On average stock prices fell by about 37% over a period of roughly a year during the 20 bear episodes since 1929. But that average masks a lot of variation. For example, the last two bears—2000-2002 and 2007-2009—have been particularly severe with declines of just under 50% and just over 55% and lasting approximately one and a half and two and a half years respectively. Sharper declines generally come after periods when stock prices have gotten particularly bloated or the economy has become especially overheated, but what’s more important is to understand that when a bear market does arrive, prices can easily fall by 50% or more over a period of a year to two years, if not longer. When evaluating your risk tolerance, you should consider how you might react to such a setback when considering what mix of stocks and bonds is appropriate when investing for retirement as well as other goals. Check Out: Should You Invest Your Retirement Nest Egg Like Warren Buffett Recommends? 3. Recoveries are typically explosive. While it’s natural to focus on the carnage bear markets inflict, it’s just as important to remember what happens in their aftermath—namely, stocks usually rebound quickly for big gains. For example, stocks soared to a 69% gain the first year after bottoming out in early March 2009 in the aftermath of the financial crisis. By the second year of their recovery, stock prices had nearly doubled from their post-crash lows and by the end of 2015, prices had more than tripled. That said, it’s also important to remember that even with those big gains, it can still take considerable time for prices to regain bear losses and move on to higher ground. Check Out: Do You Really Need Stocks When Investing For Retirement? 4. Preparing in advance is the key to weathering a bear—and participating in the next bull market. It would be great if we could ride the stock market during bull upswings and then jump into bonds or cash just before the boom turns to bust. But while we can easily trace the path from bull to bear market in the past with the benefit of 20/20 hindsight, it’s wishful thinking to believe we can predict that transition in real time. And in fact if you peruse the charts in Yardeni’s compendium of bull and bear markets, you’ll see that there are often lots of feints and false signals—like the 12% drop last August—that might seem to be heralding the beginning of a bear but aren’t. Similarly, post-crash rebounds aren’t straight upward lines. They can be interrupted by sizeable setbacks—such as the declines of 16% in 2010 and 19% in 2011—that can lead investors to question whether the recovery is still ongoing or is fizzling and giving way to another bear. Given our inability to predict the market’s path, the best way to protect yourself from a bear (and participate in the subsequent rebound) is to maintain a portfolio of stocks and bonds that you’ll be comfortable sticking with in good times and bad. You can arrive at such a portfolio by completing an asset allocation-risk tolerance questionnaire that will recommend an appropriate mix of stocks and bonds based on your investment goals and appetite for risk. You can then do a portfolio check-up to see whether you need to change your current stocks-bonds mix to bring it in line with the level of risk you’re comfortable taking. 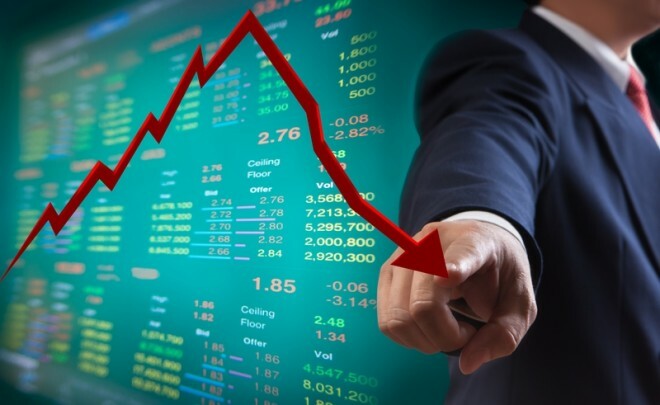 Finally, you may want to put your portfolio and overall retirement strategy through this three-step “crash test” to estimate the impact that a sharp drop in stock prices would have on your ability to retire should a bear market materialize anytime soon.